Your reactions to passed actors? Discussion in 'Miscellaneous' started by JesterFace, Feb 5, 2019. How do you react when you hear an actor that you know very well has passed away? An actor that has been involved in something that has meant or means a lot to you? I was about 8-10 years old when I was introduced to 'The New World Zorro' series and watched it for many years. 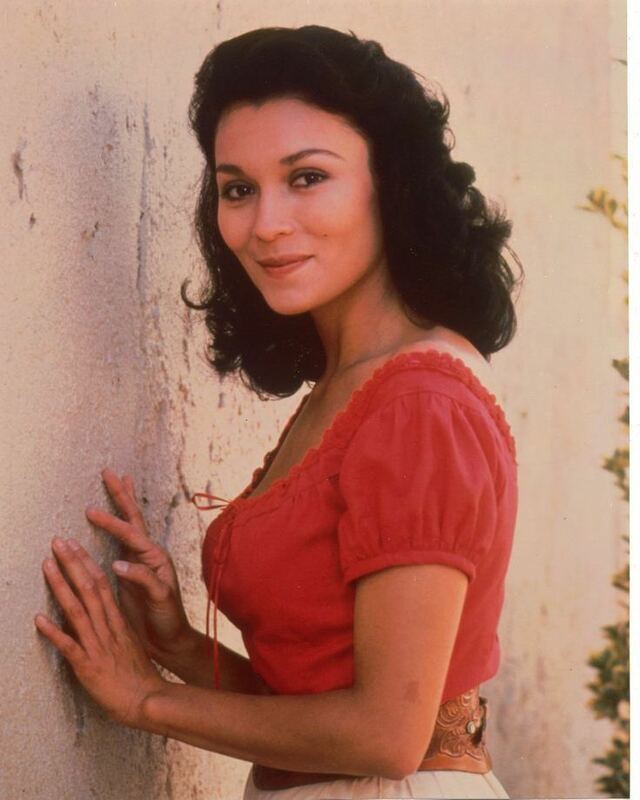 Last Christmas, Patrice Martinez, actress who played Victoria Escalante, Zorro's love interest, passed away and I read about it few days ago. My reaction was something that I didn't expect. The next day I cried. I'm 36 years old and I don't remember when was the last time I cried. I remember thinking she was beautiful and liking her very much. Might that have had something to do with it, was I a little kid in love back then? Right now, I feel bad when I think about this. I feel sad for their passing, sometimes I cry if it's a person whose impact was significant on my life, like Mr. Rogers, for example. That you care shows a level of empathy for someone whom you may have never met, but their life has affected you in some way, and you mourn their loss. John Donne, the English poet once opined that "any man's death diminishes me, because I am involved in mankind, and therefore never send to know for whom the bells tolls; it tolls for thee." We're all connected, from the inmate lying in a prison cell, to a celebrity relaxing in their palatial home surrounded by the great comforts of life. Every life affects, and true that some affect us more than others, but there's nothing wrong with being moved by the passing of someone whom others may see as a silly person, a useless person, or one who lived in privilege. That they affect you matters to you, and you are justified in feeling the way you do about them. Admiral2, Gary Mitchell, Mr. Laser Beam and 2 others like this. It doesn't really affect me. I don't know the actor personally, and the actor doesn't know me. I don't get invested in their personal life as it isn't any of my business. The actor is a professional that will play a role and then charge for their service. I pay to view that performance. That is the extent of our relationship. Whether an actor dies or retires, from my perspective it is an end to potential additional performances to view/consume. Yes, it is sad whenever anyone dies, but it really only affects the people that actually interacted with that person. Anything more is just an illusion. Same here on my end. The person left an impression on your life. So you feel sad about their passing. It only affects me when it’s somebody whose output I’m personally invested in. Like with Bowie, Prince or the Frightened Rabbit singer. Otherwise I feel sad that a person has died but no more so than any other stranger. I tend to only get a bit upset if an actor/celebrities dies young - such as Richard Biggs, Anton Yelchin, River Phoenix, Bon Scott and that is usually because the death is unexpected, comes out of the blue. Basically what Corndog said. I feel a little sad anytime i hear of someone dying, especially if they were young (under 80). It hurts me more when I hear a friend has a parent who died - most of my friends parents would be in their 50's, 60's, maybe 70's. Depends on who it is. Not every actor in the movies and shows enjoy has the same impact on me. One may get a "oh, that's too bad". With another I might feel a deep personal loss. I think I brought this up because at the age of 36, I don't remember I had ever cried when I heard someone has died, close relatives or who it might be. Maybe this program and Patrice had a deep meaning for me when I was a kid. This particular Zorro series still has a special place for me. Actually, if you skip the "silly episodes" it's quite enjoyable today. At least I think so, I watched through the series few years ago. And now I want to do it again. I'm just not sure if it's available on Region 2 DVD. I cried more when I heard that Douglas Adams had died a couple of years earlier than when my grandpa died (I didn't cry...long story). I really does depend on the actor, but if, as described in your original post, I feel that the actor has had an influence on me in some meaningful way, I do feel a deep sadness. I feel horrible when just about anyone dies, though, so I'm not sure if the deeper feeling I have is due to that person dying and feeling for their family, or if it's a sadness for me that I will never be able to experience a new presentation from that person. Leviathan and Gary Mitchell like this. When Dennis Farina died it hit me a little harder than it normally would. Just a few days before my dad and I had just finished watching Crime Story. It was one of the few shows that my dad actually enjoyed watching after he started getting sicker. I think he mostly liked seeing all the old cars and clothes from the early 60's. I felt bad about Celeste Yarnall because I had a lot of online interaction with her and donated to her cancer fund. I also felt bad about Jimmy Doohan because of his alzheimers. In general, though, when celebrities get to 80 or beyond I tend not to feel as much grief but rather a sense of "there was a life well lived", like in the case of Nimoy. His COPD condition was bad to have to deal with but he still managed to live a full life. I'm old enough that most of the celebrities that matter to me are up there in "life well lived" territory so I can deal with it OK. If anything it makes me feel more of my own mortality in acknowledging my own age bracket getting closer and closer to the end. Gary Mitchell, Scribble and c0rnedfr0g like this. I can't believe I forgot to post a picture of the person I was talking about in the first post, here is Patrice Martinez, R.I.P. How can anyone be so beautiful? I’m usually not that affected but Carrie Fisher’s death upset me. I remember once when I saw a character die, it really hit me hard. Sorry, but your image appears to be hotlinked, so I had to convert it to a link. If you are actually the owner of the social encyclopedia site where the image is hosted, let me know. I didn't know she had died, that's too bad. With Marta Dubois that's two of Magnum P.I. 's loves gone in 2018. Normally I don't actually feel sad about a celebrity death, but the one that really bummed me out was Johnny Carson. I'm still not sure why. I watched his show of course, that was what you did. When people say someone on TV was like part of the family, it was kind of like that. And maybe it was because he was that sort of a national institution, and then just dropped off the radar. You never heard about him, never saw him grown older. Then he was gone. For some reason it bothered me that he wasn't still around somewhere. Last celebrity death that really got to me was Bob Einstein (Super Dave Osborne). Listened to his appearance on Norm MacDonald Live so many times and even bought the shirt. How I feel about an actor's death is really dependent on how invested I was with that actor's work. I think the last time I really got emotional was when Nimoy and then Yelchin passed away, because I love Star Trek it was on the heels of Star Trek Beyond coming out. Other then that, it's just life. However, I almost feel more emotionally attached to sports legends than actors. I actually teared up when I found out Willie McCovey passed away. I never saw him play, but he was such a legend in the lore of the San Francisco Giants and every year he is honored with the Willie Mac Award. I also felt the same way with Bill Walsh. I never really saw him coach (I was more of a George Siefert guy) but Walsh was a genius, much the same way Belichick is a genius now and Walsh gave birth to the 49ers Dynasty.